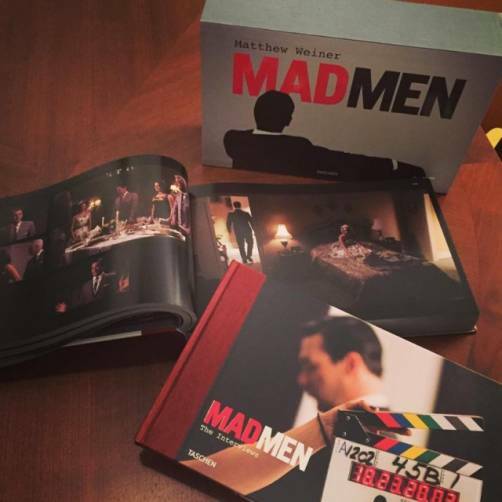 TASCHEN makes a studio visit to Brian Sanders, the British illustrator behind Mad Men’s iconic Season 6 promotional poster. 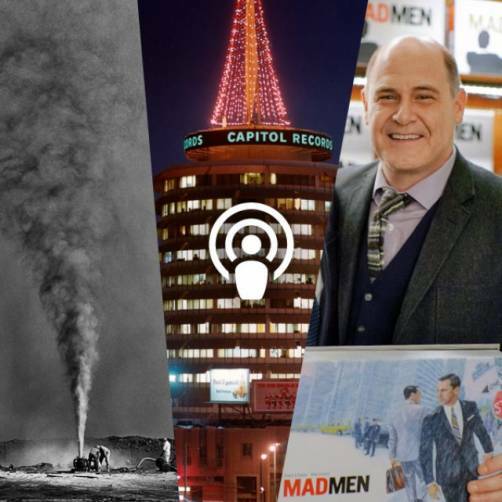 The poster, emblazoned across buses, billboards, websites, and magazine pages, captured the spirit of the show by drawing directly from 1960s and 70s commercial illustration. Mr. Sanders used a scumbled acrylic technique to create poster, a dizzy double image of Don Draper on a claustrophobic New York street. 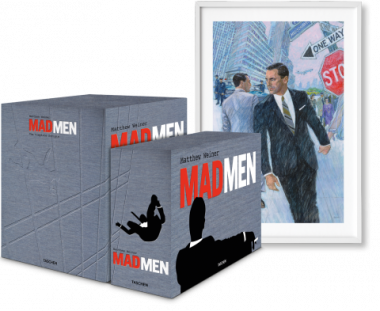 Signed prints of the poster are included in TASCHEN’s Art Edition of Mad Men, limited to 500 numbered copies, signed by Matthew Weiner, and also featuring the complete Mad Men scripts, quarter bound in a slipcase.